One of my all time favourite things to buy at Lush is their facemasks, I think their wonderful. There’s nine different ones to try out, all for different skin types. Normally I tend to stick to Catastrophe Cosmetic when I buy one, as that’s the one I’ve found to help my skin out the most so far. Last time I went into Lush I decided it was about time I tried something new and decided to pick up Cupcake instead. Cupcake is designed with teenage skin in mind – those with particularly oily skin and are prone to breakouts. My skin has been going through a particularly bad time at the moment and keeps breaking out so I felt like this was the perfect time to give it a go. I find it to be really soothing on my skin, especially if it’s having a rather angry breakout day. 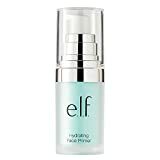 After using it my skin feels really clean, like it’s had a really good cleanse. When I take it off it leaves my skin feeling amazingly soft, which must be the cocoa butter in it working.